To inherit a deeper understanding of “The Genesis Experience” Automotive Rhythms met at the charming Little Pearl in SE Washington, DC for brunch with company executives including Erwin Raphael, Executive Director and General Manager at Genesis Motor America, whose soliloquy outlined positioning in the luxury automotive segment while simultaneously introducing the newfangled 2019 Genesis G70 sports sedan. 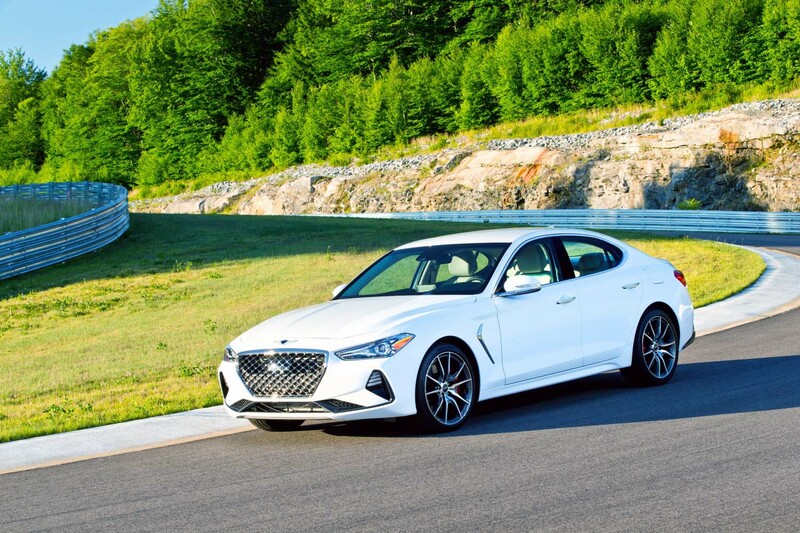 The G70 leans more towards the athletic side of the lineup but also instills some of the hallmarks of the midsize G80 sports luxury sedan and full-size G90 touring sedan. 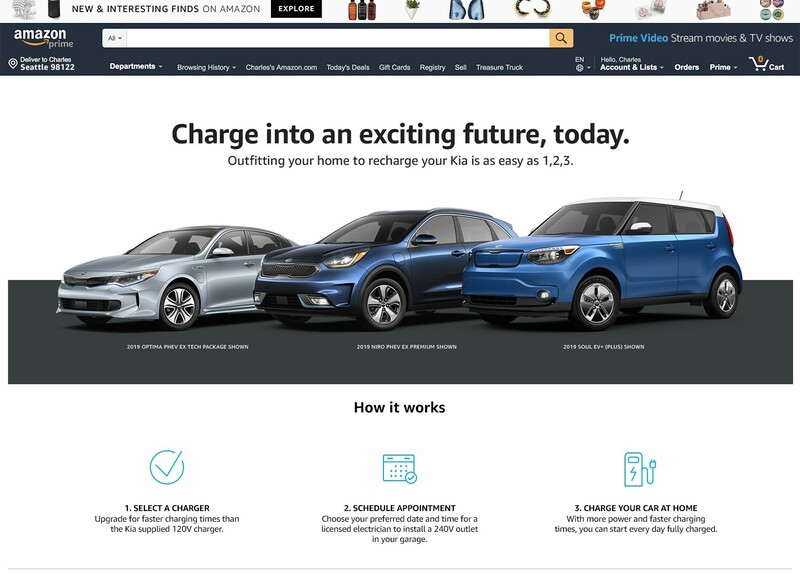 Afterwards, I drove off with the display vehicle for a week of test driving around the Maryland metro area and was highly satisfied with its performance and attributes! With three years under the belt and three solid products to work with Genesis continues to evolve the brand’s awareness to consumers in addition to increasing the validity of its engineering capabilities and magnificent design techniques through innovation and bold actions. Have you witnessed the “fine art gallery” worthy Essentia Concept recently shown at The Quail: A Motorsports Gathering and Pebble Beach Concours d’Elegance’s Concept Lawn? With dazzling imagery and electrifying energy the prospect of such a quintessential player on the roster speaks volumes for the Korean automaker’s potential. 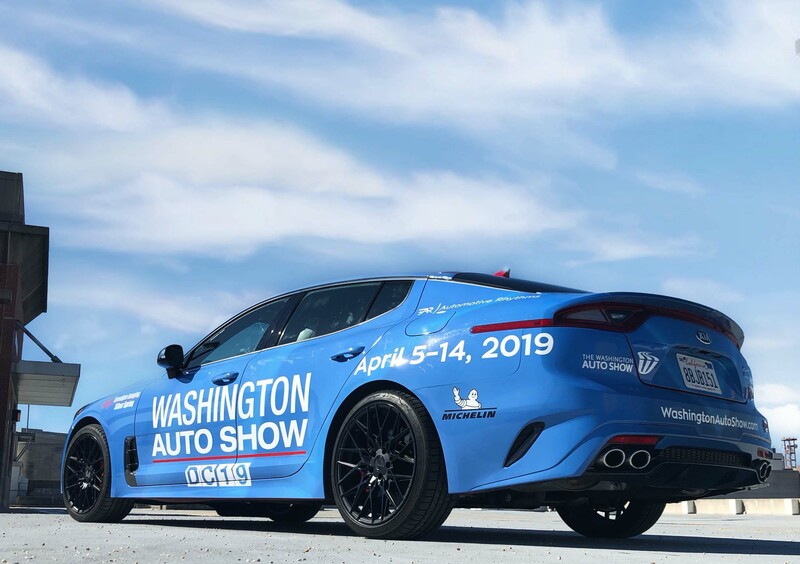 Speaking of players, Genesis is also the luxury auto sponsor of the NFL and of course the headliner of the Genesis Open golf tournament on the PGA Tour in California. Behavior of the brand is a virtue for success and represents a new act of identity from some of the biggest music acts on the grand stage that Genesis has partnered with to the fashion show circuit the company continues to affiliate itself with. Team executives and experiential creators are truly manifesting cultural moments people can participate in such as free global concerts. Trust me, Genesis signals a new beginning for the luxury category and has come off emphatically with veritable appeal. Wherever the lowered and wide body 2019 Genesis G70 RWD 2.0T Sport escorted me to people from all angles extolled the vehicle’s fiery demeanor which was represented in a Santiago Silver exterior hue outlined by a menacing dark chrome grille, quad DRL headlights with the signature copper accents, unique twin exhaust tips shifted to the right (need to be split), black 19” alloy spins wrapped in 255/35 ZR19 Michelin Pilot Sport summer rubber, side gills and a Darth Vader resembling front chin spoiler. My sport model also came with alloy pedals, dark tint tailgate covers and black Nappa Leather with diamond cut contrast stitching. 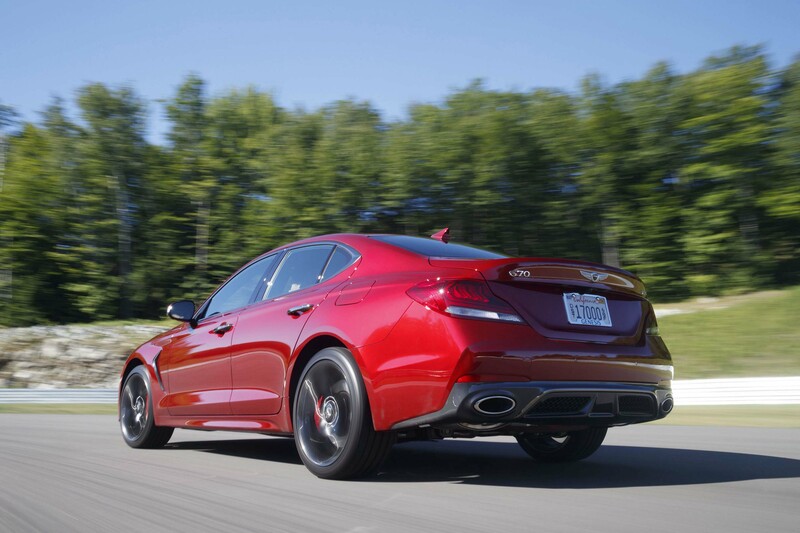 The G70 is offered with two engines including the venerable 3.3-liter twin-turbocharged GDI V6 with 365-horsepower and 376 lb. ft. of torque (0 to 60 mph in 4.5s) or the 2.0-liter turbocharged 4-cylinder that my vehicle came with. 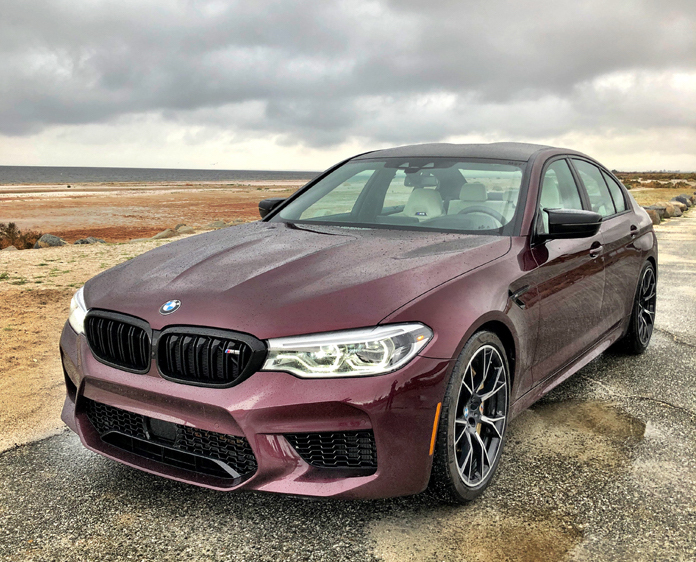 Even with 252-horsepower and 260 lb.-ft. of torque the Korean sports sedan was pretty feisty with very grabby brakes to slow us down. 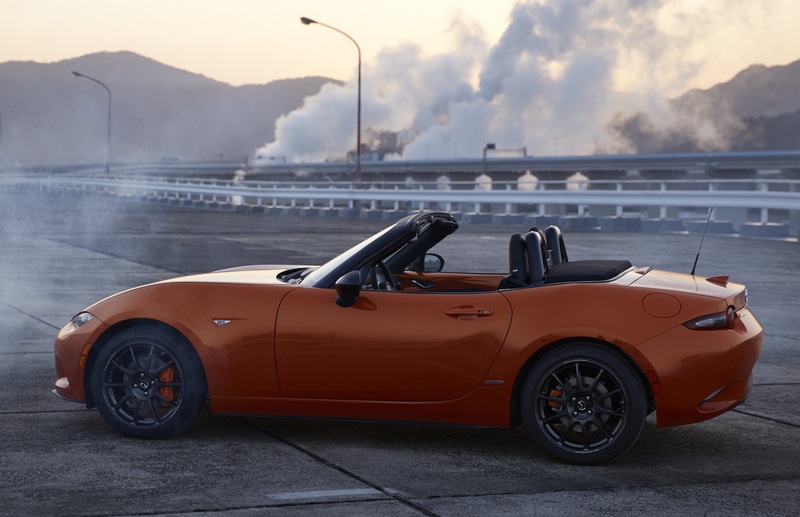 Steering is taut and compliant and features paddle shifters for the 8-speed automatic transmission with Rev-Match. 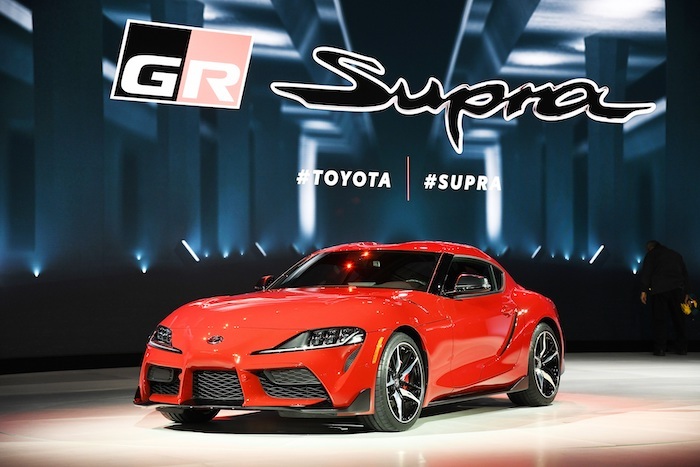 I had a RWD model (with the Limited-Slip Differential) which can be ordered with either engine as well as the sophisticated AWD with Dynamic Torque Vectoring Control. Drive Mode Select allows you to engage the vehicle in various settings including Smart, Eco, Comfort, Sport and Custom. 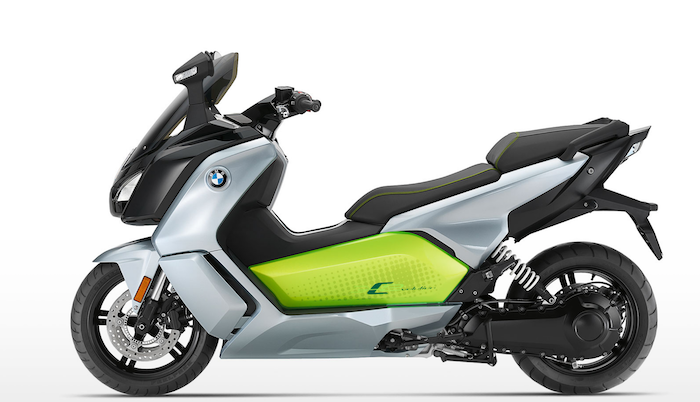 With the 2.0T expect 22 city mpg and 30 highway mpg and around $32 to fill up with premium fuel. A full underbody cover will protect your mechanical goods. Inside, the cabin feels dynamic and mature well beyond its years of experience. 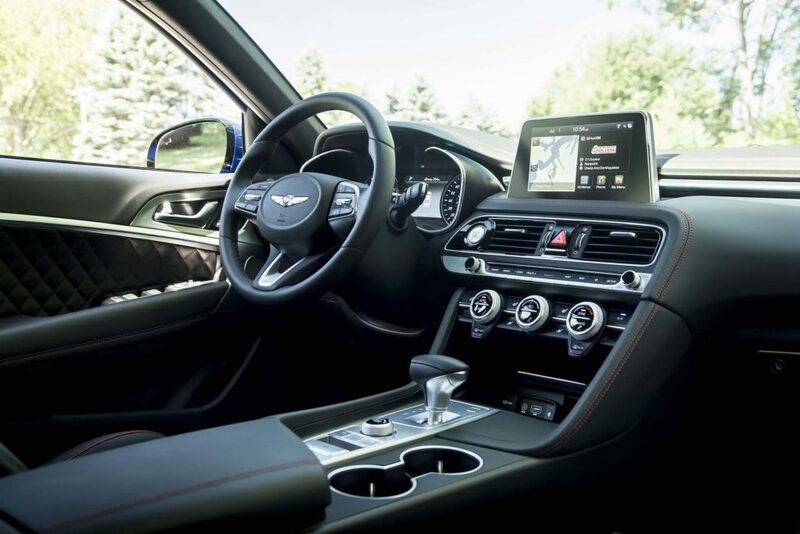 The steering wheel is designed with true thumbprint indentations for aggressive cornering, the bucket seats (12-way power driver) keep you in place and the center console is clean but intelligent. I also like the grip of the gear shifter. The 8” touchscreen display and operation is similar to that in Hyundai vehicles and the three USB ports are very handy. 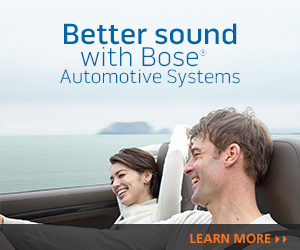 Both the Elite and Prestige Packages combine to offer color Head-up Display with road speed indication, heated rear seats, wireless charge pad, wide sunroof, Nav system, microfiber suede headliner, aluminum interior trim and the 15-speaker, 660-watt Lexicon premium sound system with QuantumLogic, Clari-Fi music restoration and classy metal speaker grilles. 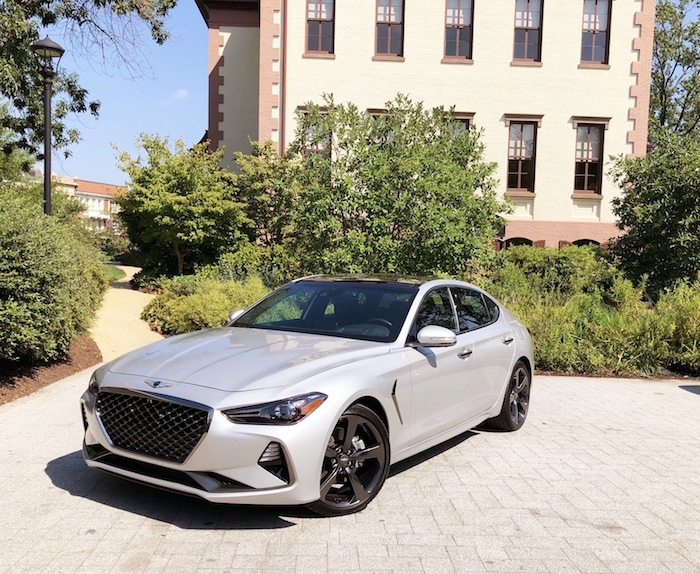 Other perks of owning a G70 include complimentary service valet where they pick up your vehicle and drop off another, Genesis Connected Services, a 10-year powertrain warranty, 3-year complimentary maintenance service, 3-year SiriusXM and more. Ideologically you can compare the G70 to Lexus, Acura, Infiniti, Jaguar, Volvo and Cadillac but I wouldn’t put them head-to-head with the Germans just yet. 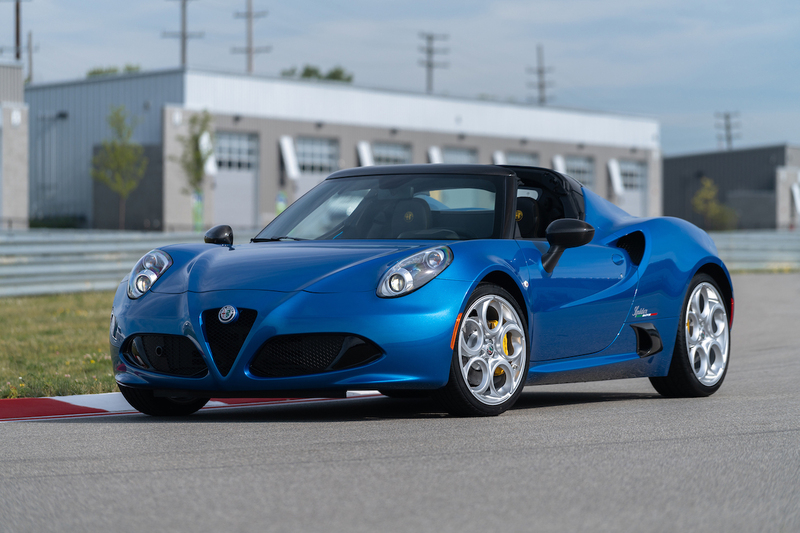 Some would argue that this model should have been a coupe since it drives and feels like one, but maybe we will see that in the form of a G60 since Genesis says many more models are in the pipeline. In the interim I’m impressed with the team roster.